Hanging a frame, mirror, or shelf is easier with a Made in the USA magnetic stud finder that doesn’t need batteries or calibration to do the job. Slide it along the wall and the indicator will pop up and click when its magnet finds metal fasteners on a stud—up to half an inch deep in the wall. 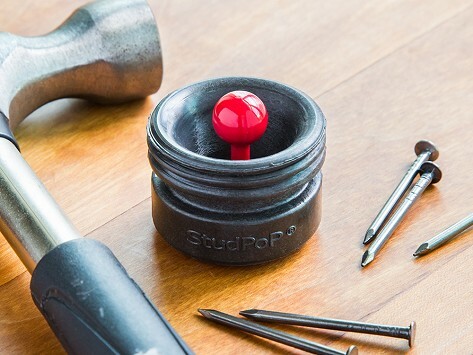 This makes finding studs super easy. I’ve had so much difficulty with my other studfinders that this makes it a breeze. Actually works, unlike the 3 electronic stud finders I have. Great product. Awesome, small and easy to use.